It’s a challenge to find a good implementation of a WooCommerce services plugin. Overall WooCommerce has been build with a product-selling approach. Therefore, we need to rely on extra tools to fill in the gap from selling products to selling services. You may be wondering why that is. After all, when we sell services with WooCommerce, we are just selling a different kind of product. The biggest difference comes down to the additional tools needed for services. When you sell a product you just select it, maybe add your stock status, shipment methods and that’s it. Whenever an order is made you ship that product and it’s done. On the other hand, when it comes to services it may get tricky. You may have to deal with schedules, hence, 2 users can’t buy the same time slot. Additionally, you may want to sell a subscription product which includes recurring payments. There’s also the case of one-time services, or digital products, which may require download files or questionnaires. These are the some of the different possible scenarios that we are going to look into today. Additionally, we go over some strategic tools you can use to improve your knowledge of your customer base. Therefore, you get to know your best customers, where they are, what they do. Also, it’s possible to track down trends and see how you can improve your WooCommerce services. The first and easiest option to use WooCommerce for services is with the virtual product option. In many ways, a service, such as a logo design, is like a virtual product, such as an e-book. And that’s going to be very helpful when you want to sell your services with WooCommerce. For instance, when you have a design service there are usually no physical product or shipping fees. The same goes for a digital product. In addition, both have no stock status. Unless you are fully booked, usually you can sell as many designs as one can buy. And you never run out of hard drives to copy products to your users. Therefore, in order to create simple one-time services, the virtual product is a good option. If you need some information from your customers, such as a questionnaire, you can use other plugins. For instance, gravity forms are going to help you greatly when you ask your customer’s preferences for design. And a form with an upload option works fine for proofreading services. It is true that not all services can be sold as simple digital products. Often, when the services involves time slots, we need to provide booking calendars tied to the service itself. The right time may be important for the customer. That’s the case for renting places, hairdressers, doctors. After all, you need to have to rent a place for a specific date, not when your provider feels like it. But when it comes to selling services in your WooCommerce site, it’s good for you to create a booking schedule. In this way, you and your customers will know when you are free. Additionally, you get to know which services are being booked and when. For instance, you may realize that some services are usually booked with more time than others. After all, collecting data is always important to better providing and selling services online. If that’s the case for you, you can use the WooCommerce Bookings or WooCommerce Bookings and Appointments (by Pluginhive). There are other options, but we found these two to be good solutions for a free or paid setups. Both plugins are very similar in terms of how they work and how well they integrate into WooCommerce. Let’s check the free solution of Pluginhive’s WooCommerce Bookings and Appointments now. Other than that everything should work as you are used to. As soon as you create it, you are ready to sell your services in WooCommerce as booking time slots. Whenever a customer buys your bookable service, you see it in that Bookings screen we mentioned. The subscription-based business model is a great addition to any business that makes recurring services. Subscriptions allow you to create steady cash flow, while creating other products and services. Additionally, when you sell subscriptions as services, you allow users to constantly benefit from recurring services. Therefore, if they have a service that is needed periodically, it makes sense to buy a subscription. It’s a good deal for the customers, who are getting a discount, and good for providers, who get guaranteed sales. Therefore, now it’s time to figure out how to implement WooCommerce services as subscriptions. And again, there’s a plugin for it! 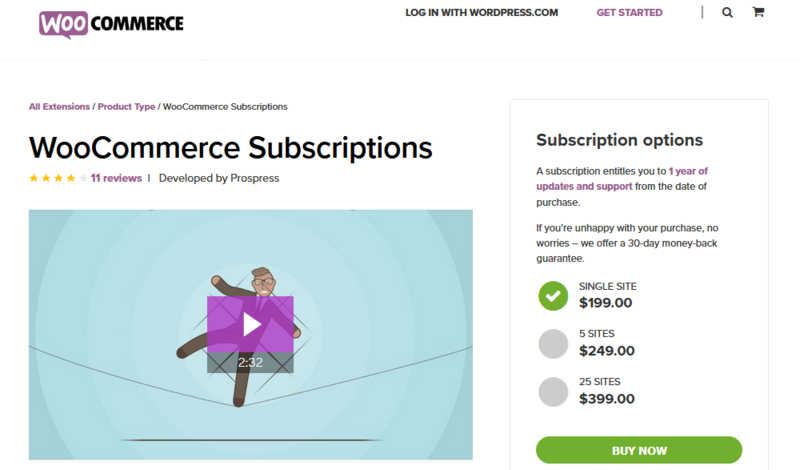 The WooCommerce Subscriptions is a plugin that integrates seamlessly with WooCommerce. It’s worth mentioning the WooCommerce Memberships plugin as well. It’s similar to the WooCommerce Subscriptions as it allows recurring payments. But it’s focused on creating a membership site, which is great for some services. For instance, if you have an education portal, a membership area would be a great addition. The same goes for other community-focused products. Now we have our WooCommerce services set up. We are ready to sell services using these plugins. But what about our customers? It’s invaluable to gather more information about our customers. In this way, we can better understand our current and potential customers, as well as the different niches to pursue. We can get to know our customers by using the Users Insights plugin. Let’s see some of the information we can gather with it. First, we can check all the customers who bought a service. If you have one-off services that are sold as digital products, this can be used to understand your customer base. For instance, let’s filter all customers from the US. Some booking services benefit from additional follow-ups. If we filter customers based on their purchase date, we get this information. 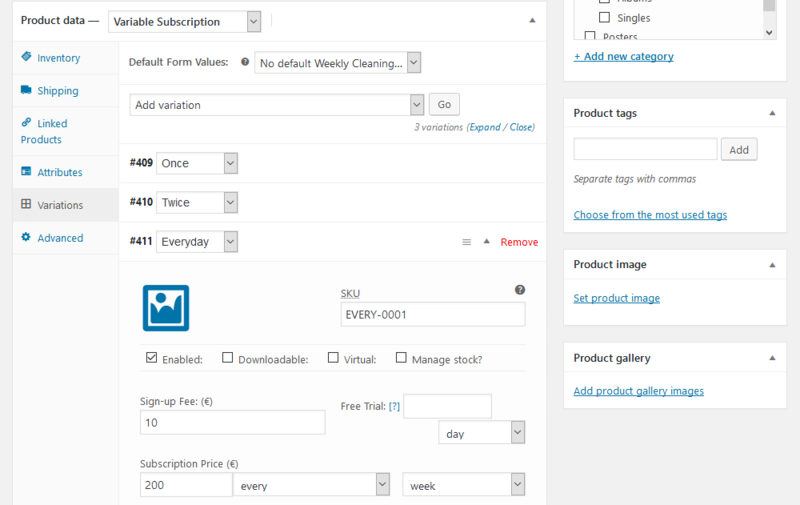 In this way, you can export these customers and get in touch with them using MailChimp, for example. Today we dived into WooCommerce for services. We saw different service types, and how they integrate into our WooCommerce site. Additionally, we looked into different ways we can understand our customer base using Users Insights. By the end of the day, you should be able to use WooCommerce to sell services, manage customers, bookings and subscriptions.